Made from stainless steel, this weapon is durable enough to last you. Three cutouts near the tip of the blade lighten it, and serration on the back makes sawing those aliens easy. 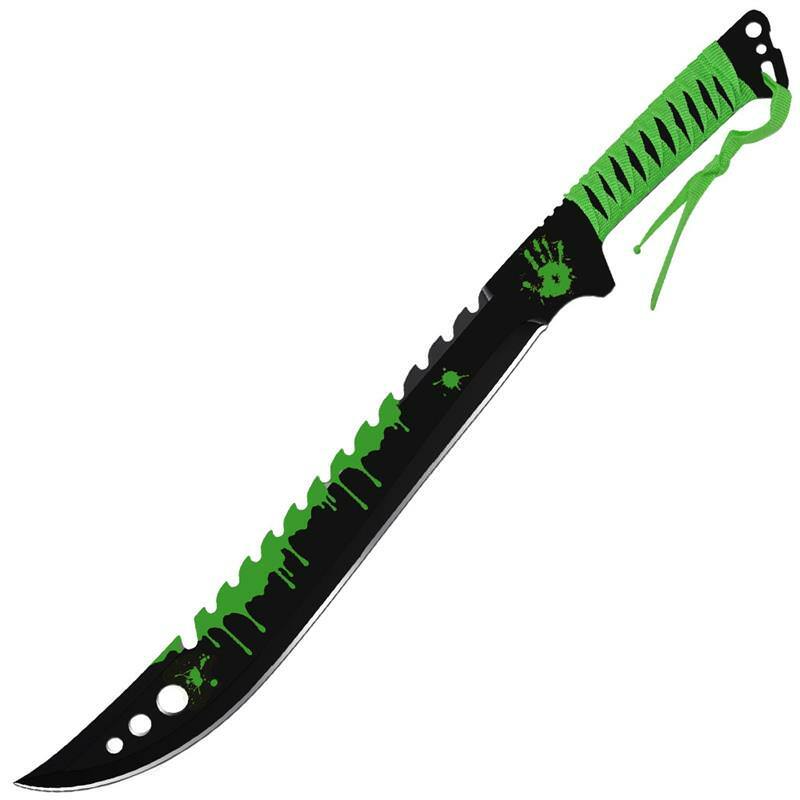 Green and black fabric surround the handle of the machete, giving you a firm comfortable grip. A nylon sheath is included to protect your weapon until you are ready to use it.